But let’s take it in order. In fact the Saudi initiative occurred soon after Trump’s visit to Riyadh. In this case the American president – the worst at diplomacy (and not only diplomacy) that Washington has had in the last few decades, has been thoroughly impressive. – The visit was intended to patch up a relationship which had heavily fractured over energy issues as well as other matters by giving King Salman credits worth $110 billion for rearmament and $200bn for infrastructure at a time of economic and social crisis for the Saudi monarchy. This breath of oxygen has prompted Riyadh to stifle Qatar's ambitions within the Sunni world where, after three years of falling crude oil prices, the Saudi kingdom no longer has the same financial wherewithal as before. Whilst the Saudis initiated hostilities against US oil, aiming to push down the price of crude, it is equally true that the manoeuvre ended up boomeranging against Riyadh’s interests. On the other hand, Qatar – the world’s top liquid natural gas producer ­– has been able to increase its energy revenues and so develop its ambition to play a stronger imperialist role in the various international markets and within the Arab world. 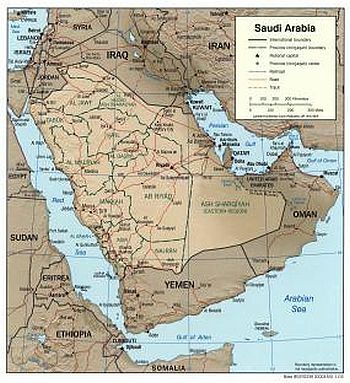 Saudi acrimony stems precisely from this fear that the small, but financially powerful, Qatar may carve out increasingly wider economic, political and religious spaces for itself, threatening Saudi supremacy within the Sunni world and more generally in the overall Arab scene. The former British protectorate, which also hosts an important US base and which has made partial steps towards President Trump, now possesses almost more property in London than the British monarchy, including Harrods department store, the sophisticated Shard skyscraper built by Renzo Piano, part of Canary Wharf and the London Stock Exchange, plus land and hotels on the Costa Smeralda, the futuristic Porta Nuova in Milan and the Valentino brand. The activity of the small but rising monarchy of Al-Thani is obviously not limited to global shopping. It also invests in production, as it did in Germany where it has bought shares in Porsche and Volkswagen. Strengthened by this tremendous availability of capital, Qatar is trying to exploit the weaknesses and contradictions of the region to increase its own leadership, even at the cost of granting political recognition to Iranian, Lebanese or Iraqi brands of Shi’ism, but this has inevitably brought it into collision with Saudi Arabia and other Gulf states. Aside from the instrumental excuse of financing terrorism, the real game remains their respective strengths at the level of imperialist power.